When I first built out my home lab, it had no shared storage and was located within a single box – specifically, a Dell T110 with local disk. As such, I created a file server virtual machine to serve up those disks to the family and lab workloads. Over time, my home lab has changed quite a bit and the idea of having a virtual machine tethered to physical hardware is no longer appealing, so I went ahead and migrated over all of my file services to an older model Synology DS411. 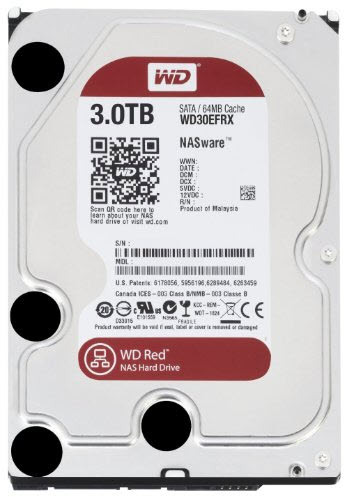 This NAS originally had 4x 1 TB drives of various makes and models – basically whatever I could find at the time – but was upgraded to a matching set of 4x 3.0 TB Western Digital WD30EFRX “Red” drives (Amazon) over the weekend. The Red drive is labeled as a NAS storage drive. It’s big and slow, which is all I need for bulk storage of media files. For those interested, the drives do come with little WD stickers so you can show off your amazing large hard drives to anyone who waltzes by your storage unit. Or put them on your laptop? I guess the sky is the limit. The first order of business was to evacuate everything off the DS411. I had all of my ISO images and syslog files on it, which were copied over to my file server VM using Robocopy. I used the /MT command to create 4 worker threads and let it run overnight. I don’t know how long it took – nor do I really care – because it was done by the time I woke up the next morning. At this point, I wiped the DS411, powered it off, and swapped the drives out. Because the NAS has been running for years, I felt a “clean install” would be nice to shake out any old code or configs that were hiding in the box. I also use Synology’s CMS feature on my DS2411+ to control the configuration of my NAS boxes using policy, so standing up a new box is trivial. Once installed, I did a SMART check of all the new drives. They came up clean and without errors. I then created a single Volume using the Custom wizard. 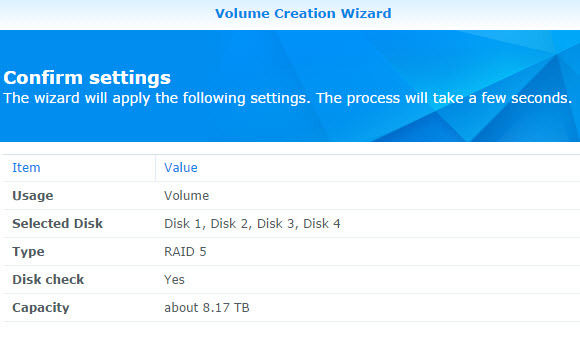 All drives were selected using RAID 5 and a disk check. 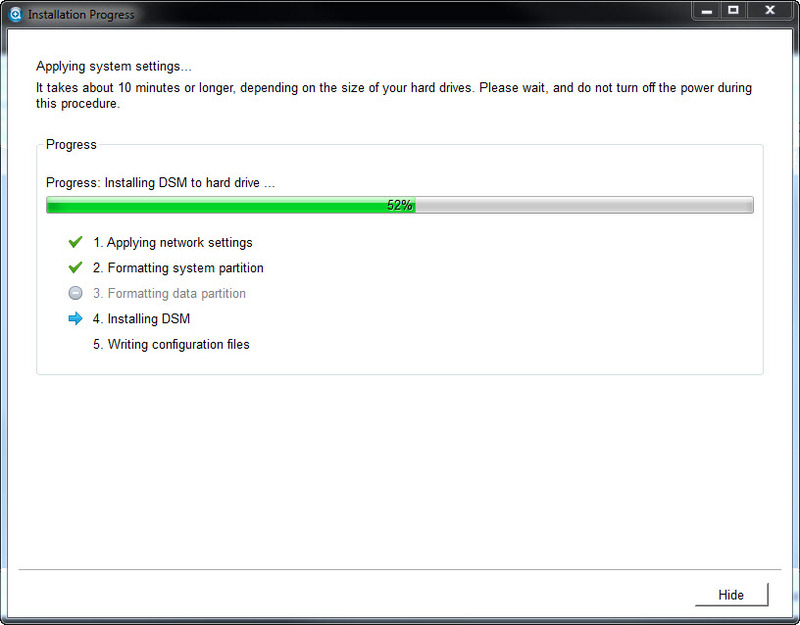 I chose the disk check because the drives are new, and I’d rather find issues now rather than later. As you can see below, my usable capacity is 8.17 TB, up from 2.6~ish TB before. Lots of slow, bulk storage! Once the Volume was created, I verified the details and let the data scrub take place. This took about half a day to complete. The next step was to set up a new Directory Service for the NAS. I joined the box to my domain by filling out my domain name and DNS servers, then supplying an administrative account that can do the join. I’m using Windows Server 2008 R2 for my DCs, running in 2008 R2 mode for the single forest and single domain. As such, I didn’t need to touch the Advanced Domain Options box. Once that finished, which took only a few seconds, I validated that Domain Users and Domain Groups showed objects from my domain. Specifically, my group for Shared Drive Read/Write (RW) access. That’s pretty much it. I validated that only users in this group could hit the NAS, while any other attempts were denied. I was wondering what you don’t like about a vm using physical hardware. 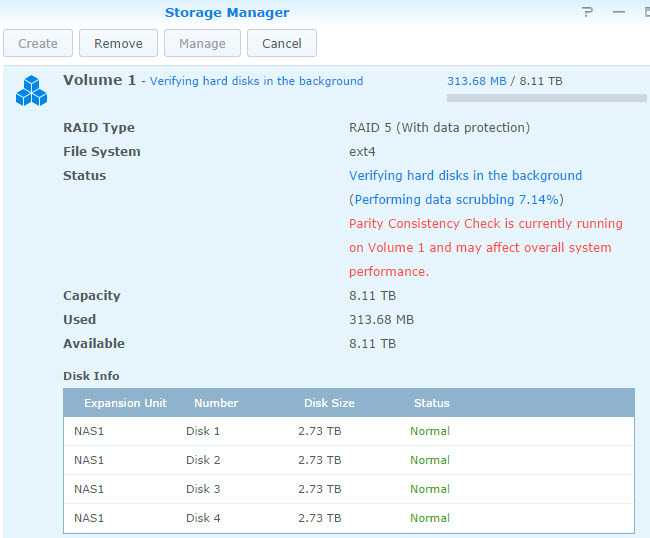 Is using esxi + hardware passthrough + napp-it with ZFS par example vs using a synology software raid so much worse? I have a SCSI card in my Dell ESXi host and a number of 1 TB drives. These are presented as a local datastore, with a Windows 2008 R2 VM acting as a file server on that datastore. I found it annoying to have to power it off whenever I wanted to do work on that host.